middle school | Bolehland.net – The epic journey of two guys in Malaysia! The story takes place in a middle school in Tokyo revolving around the young Ryoma Echizen, a tennis genius who joined Seishun Academy. Ryoma quickly defeated his seniors after going to school to win a place in the official lineup. In the process of pursuing his final goal, Ryoma gradually developed his own style of play and realized what the sport meant to him. The series is about Ozora Tsubasa, a soccer prodigy, who cherishes the dream of playing for the Japanese national football team and winning the World Championship. When moving to Nankatsu, Tsubasa befriends Ishizaki Ryou, a boy of his age who loves football, Wakabayashi Genzo, the talented goalkeeper of the school team Shutetsu and Sanae (or Anego), the girl’s cheerleader team leader. Nankatsu … The series has achieved a lot of success and popularity worldwide. The story about Teikou Middle School basketball team is a legendary team known as the “Generation of Miracles”. After graduating, these 5 stars moved to various high schools in basketball. However, little is known about the 6th player with the nickname “ghost” – Kuroko Tetsuya. Kuroko moved to the school with the newly formed basketball team without potential. But Kuroko met Kagami Taiga – the specter and the light that met, they worked together to achieve their goals and dreams to bring Seirin to the Japanese championship. 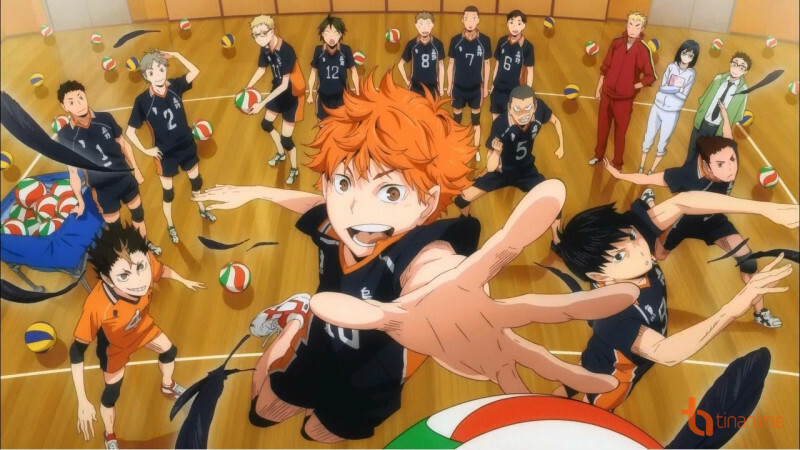 Haikyuu is about Hinata Shouyou, a junior high school student who wishes to become a volleyball athlete after watching a match. He decided to join the high school volleyball team, and after finding enough members he was able to join the first match in his life after 3 years of waiting. Here he encounters Tobio’s “king of the battlefield” and is beaten to the point of defeat in the first match, but loses but he remains determined to train to revenge. However, when going to level 3, in the wrong way, how do these two people become each other’s team mates? This is probably a famous series that everyone who loves sports must know, not only does the series inspire a passion for basketball for so many generations. 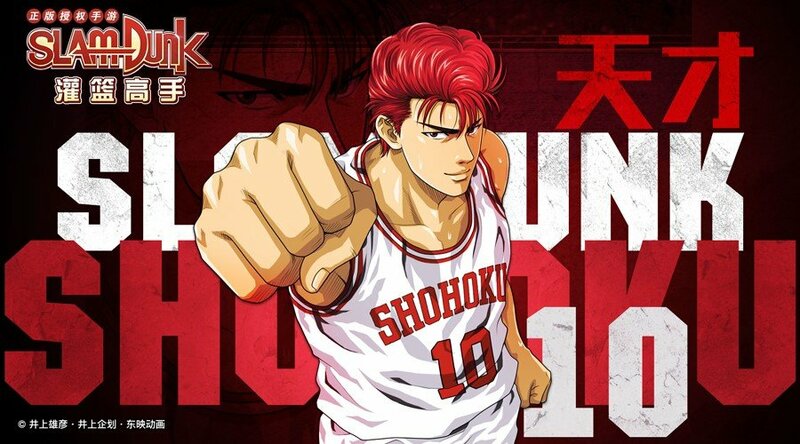 Slam Dunk talks about a high school basketball team called Shohoku. The main character of this manga is Hanamichi Sakuragi, a record holder of “T squared” (falling in love), with outstanding strength and very hot blood, leading a group of disruptive students. Although he came to basketball because he wanted to catch the attention of his friend Haruko, Hanamichi has really found love for this subject since playing basketball. It is Slam Dunk’s meaningful and humorous story that makes it an extremely memorable and worth watching anime among sports series.